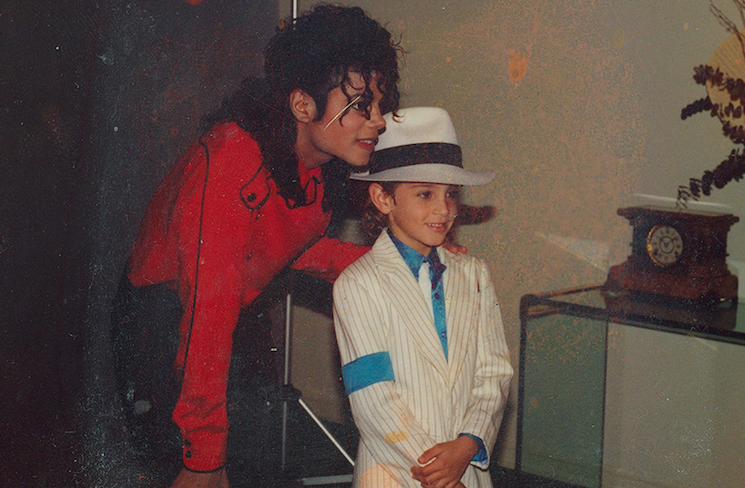 Earlier this year, Sundance debuted the controversial two-part HBO documentary Leaving Neverland, which explores cases of sexual misconduct that two children allegedly suffered at the hands of Michael Jackson. Today, we get our first look at the film's trailer. The film focuses on Wade Robson and James Safechuck, two men who claim Jackson sexually abused them when they were preteens. Early reviews indicate that the film is full of sickening forensic information, but the trailer itself will be somewhat easier to stomach (though no less creepy). Michael Jackson's estate has spoken out against the documentary, calling it a "tabloid character assassination." Watch the trailer for Leaving Neverland below. The first part of the four-hour series will air on March 3, while the second half will air on March 4 via HBO.